Dr. Harms teaches has studio space in Milton, Wayland, Waltham, and Needham. He is proud to be one of New England’s top brass pedagogues, capable of effectively teaching brass students of all ages and abilities. 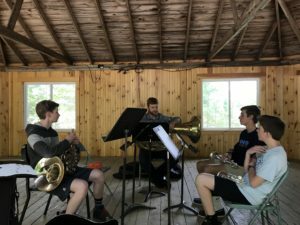 Dr. Harms has assisted students in gaining admission in countless honor ensembles, prep schools, colleges, and summer programs, including youth orchestras across the Northeast, Interlochen Arts Academy, All-District and All-State ensembles, Tanglewood, and others. 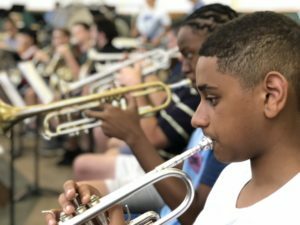 Every spring and summer, Dr. Harms’s students tour the world with groups and competitions like the Worschester Youth Orchestra, the Blue Lake International Orchestra, the National Trumpet Competition, and the International Trumpet Guild. 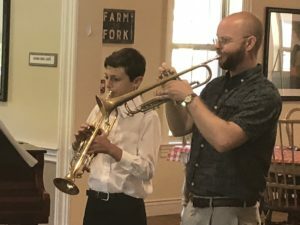 And although Dr. Harms is proud to have fostered such a competitive group of young musicians, he is also proud of every student who has learned anything from their lessons, including items as simple as learning the discipline to practice a few times per week. Lessons often include attention to scales, fundamentals, ensemble obligations, basic music history and theory, duets, some time spent talking about upcoming goals, practice auditions, and practice planning. Dr. Harms works with students and parents to establish habits, strategies, and spaces in which effective practice can be carried out in a balanced way with other activities and obligations. Stay tuned to this page for more information, including etudes, studies, handouts, and schedules.